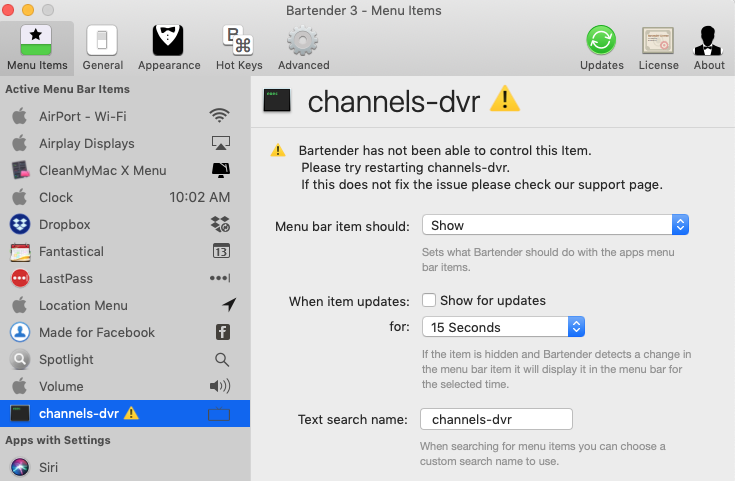 Channels DVR not compatible with Bartender? I use an app to hide certain menu bar icons call Bartender. I seem to get an error with the Channels DVR app. See attached. Is this something simple the developers can fix? Thanks! It works with the Bartender beta.